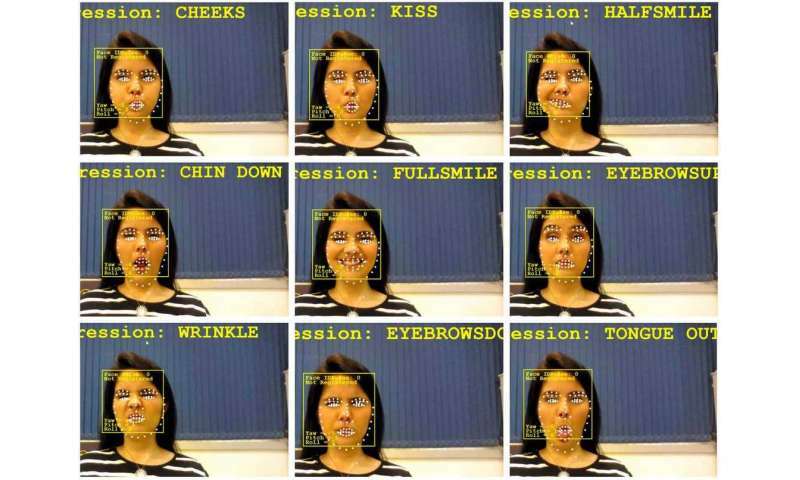 Sao Paulo, Brazil-based Hoobox Robotics has teamed up with Intel on the Wheelie 7, a kit that leverages AI to let a disabled person drive a motorized wheelchair through any of 10 facial expressions, from raising an eyebrow to sticking out one's tongue. Motorized wheelchairs these days are typically controlled with a user's hands, a joystick or via sensors attached to the body. That's not the case here. The Wheelie learns the user's smile and other gestures automatically—there is no special training that is required. Through an app, a caregiver or family member can assign which facial expressions would be tied to which way the wheelchair moves or stops: left, right, forward, backwards. Through a combination of facial recognition software, sensors, robotics and an Intel 3-D RealSense Depth Camera that's been mounted on the wheelchair, Wheelie captures a 3-D map of the face uses AI algorithms to process the data in real time that directs the wheelchair. In tests so far, the smile expression is often used to stop the wheelchair rather than make it go one way or another. Why? People might smile because they've heard a joke or react to seeing a loved one, and you wouldn't want the wheelchair to move just because of that. But a person can also disable or enable the Wheelie through a combination of facial gestures that might avoid any such problems. Wheelie's algorithms can also detect just before a person is about to cough or sneeze, so that action is not mistaken for a gesture. Hoobox CEO and cofounder Paulo Pinheiro, says testers have been using Wheelie on average nearly 4 hours per day and "travel" an estimated distance including rotations of 700 meters day. The kit can work in sunlight and dim lighting settings, he says, and is compatible with 95 percent of the motorized wheelchairs that are out there. Pinheiro adds that the kit can be installed in 7 minutes, thus the "7" in the name of the product. On Monday, as part of the annual International Day of Persons with Disabilities, Hoobox plans to open up 100 additional spots on a waiting list that now numbers about 300. They'll receive the kit, which would normally go for about $300 per month under a subscription model, for free in exchange for user feedback. Pinheiro expects the next prototype to come out in March. "Today on International Day of Persons with Disabilities, it's important to recognize the ways technology can help people regain mobility and control of their lives," says Anna Bethke, leader of AI for Social Good at Intel. For people who might take advantage of the Wheelie, that seems to be a provide a good reason to flash a smile.